Here are 10 of the best Excel spreadsheet templates An Excel Template for Every Occasion An Excel Template for Every Occasion Skip the steep learning curve and sort your life with the power of Excel templates. We have compiled a selection of auto-updating templates to track budgets, manage projects, and more. Read More to organize your life. Visualizing what you have to do as a list is a valuable tool in increasing your productivity. There’s no shortage of tools on the market that help you do this. Personally speaking, I’m quite partial to Wunderlist (use this Wunderlist tip How to Use New Wunderlist Folders to Boost Your To-Do List How to Use New Wunderlist Folders to Boost Your To-Do List Wunderlist got a big update with two new features essential for a good to-do app: organizing and quickly adding tasks. Do these help it become the productivity app of your choice? Read More ). If you’re on a highly restrictive diet How to Build Perfect Meals With the IIFYM Calculator and Excel How to Build Perfect Meals With the IIFYM Calculator and Excel You can easily design meals that meet your nutrition intake targets. Achieve your fitness goals by using the free IIFYM Calculator and an Excel spreadsheet for healthy meals every day. Read More , or if you’re just trying to cut down on food wastage, you’ll want to keep a meal planner. If you’re planning a DIY project, or have a massive school assignment to get done, you might want to consider doing a bit of project management The 5 Best Project Management Tips for Beginners The 5 Best Project Management Tips for Beginners If you are taking on a project manager role for the first time, here are just five project management tips to help you get started. Read More . If you appreciate this template, also have a look these Excel templates for project management 10 Useful Excel Project Management Templates for Tracking 10 Useful Excel Project Management Templates for Tracking Project management templates can help you replicate successful projects. Here are the essential Microsoft Excel templates for you. Read More or Word templates for managing projects How to Manage Your Project with Word Templates How to Manage Your Project with Word Templates In project management, preparation is half the battle. To organize and document your project, you may need many different reports, forms or plans. We have compiled a selection of Word templates to get you started. Read More . If this calendar layout isn’t quite what you need, why not craft a custom calendar for the year Craft a Printable Calendar for the New Year Craft a Printable Calendar for the New Year Don't like the calendars you seen in the shop or want to create something unique? Here we show you the eight best tools for crafting you own printable calendar. Read More ? You can also use plenty of other apps to create a project timeline. 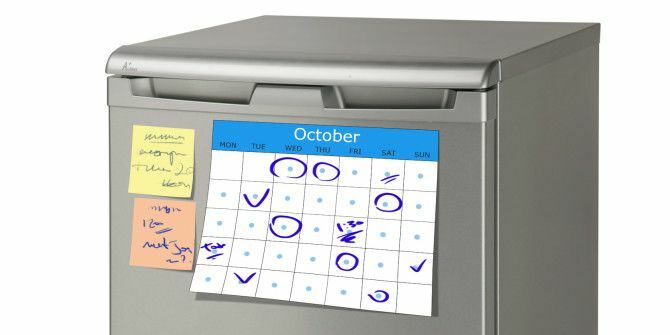 You might also want to try one of these sites to create a free custom and printable calendar template 10+ Sites to Find the Perfect Free Printable Calendar Template All Year Long 10+ Sites to Find the Perfect Free Printable Calendar Template All Year Long You can never have enough reminders that your most valuable personal resource is limited. Our selection of printable weekly, monthly, and yearly calendars will help you manage your time wisely. Read More . If you can’t find the perfect template, here’s how you can create a custom Excel template How to Quickly Create a Custom Excel Template to Save Time How to Quickly Create a Custom Excel Template to Save Time Excel templates are universally useful — they can help you keep your finances in order, manage a project, and organize your life. We show you how to create your own custom template. Read More . And if you need a physical copy, be sure to format your spreadsheet so it will print to one single page How to Print an Excel Spreadsheet on One Single Page How to Print an Excel Spreadsheet on One Single Page A beautifully crafted spreadsheet loses all its appeal when it comes printed on nine sheets of paper, with half of them empty. We show you how to get everything nicely on one single page. Read More . Explore more about: Microsoft Excel, Money Management, Office Templates, Time Management. ODS format. Would gladly share it, but there doesn't seem to be a repository for such things. Would you want it here? Nice list Matthew. You should also add GanttExcel to this list. Their template allows to create Gantt charts easily. Thank you for sharing this link. I needed a template urgently and came across this. This is the best gantt chart template out there. I am looking for spread sheet that can help me keep track of mail sent out and responses. Great spreadsheets! Do you happen to have anything where it auto populates data you input, into another section, but then also being able to copy/paste the data onto a word document without the boxes? So for example, if I input data in three different sections (The boy, went to the store, to get groceries), then it would auto populate that into a sentence in another area (The boy went to the store to get groceries), and then be able to copy/paste that constructed sentence into a word document? I have a spreadsheet called the Pursuit Tracker to track and rate my ideas as I start things easily but have a harder time finishing them. 1. focus my attention based on deliberate priorities (rather than jumping to the next shiny exciting thing) and make decisions mindfully. that sounds very nice. I always searching for such a template. Can you share it? Would you share your xls? It sounds like just the thing. My bad forgot to add the name of the tool, its Collatebox collatebox.com/ . Thanks for sharing all these. I happened to find this new tool, which has predefined templates such as Asset tracking register, Expense manager. These are kinda helpful. Thought you could add on these to your lists. Hey Matthew, I don't know if you create these spreadsheets or if you have just found them? I assume that you've made them yourself. I'm based in London (UK) and I create custom spreadsheets for a living. I also have some free spreadsheets. I hope that I am not in direct competition to you, if so, please delete this comment. I'm not trying to steal your thunder here, just trying to offer the folks some other free spreadsheets. Thanks for your comment! It's really valued. I didn't create them myself. I actually just got them from Vertex42. Great site! Classy move on your part.. even if it may not be true. Really appreciate all these free spreadsheets. Thanks for giving them to us! No worries Thom. Thanks for your comment! It went through. Thanks for your comment, Joe! You're welcome! Thanks for visiting, Laura! 2. Home Inventory (could be useful for homeowner's insurance in case you get robbed). Cool! Thanks for your comment Ron! This is one way in which Americans protect the environment more than other folks with British backgrounds. 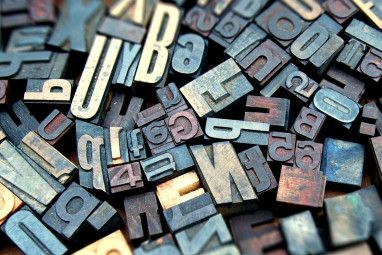 By cutting out the "u" in so many words, colour, for example, and shortening other words, such as aluminium and cheque, we use less paper and ink. So, we make the world a better place because of our spelling. 'Merica! And we love you for it, Scott! Thanks for your comment! Oops colour instead of color. Sorry. As an Australian ( settled by the British over 200 years ago we tend to use the British s instead of z in customise, rationalise , organise etc. And colour instead of colour. And Z is pronounced zed instead of zee which always amused me greatly when watching American tv. I would love to know how and when these got changed. And that dot at the end of the sentence is a "full stop" not a "*period"! Wow this is way off topic but interesting anyway ! I'm American and often use British spellings, depending on the audience with whom I'm conversing. But to be honest, it often crosses over. I like "colour" better than "color", for example. Most often, I'll use the 's' instead of the 'z'. And thank God I'm not corrected on it often because this is the internet and nobody really knows from whence you hail (ahem, "where you come from"). Not normally concerned with spelling errors...but in a headline??? Organise is the British spelling. Organize is the American spelling. British spelling can't excuse 'hotch-potch' for 'hodge-podge'!! Thank you for the collection of templates. I won't use all of them (no one would be expected to find every one of them useful), but I certainly appreciate the article and collection of spreadsheets, regardless of the dialect used by the writer! Sorry for my fellow Yanks being too busy being prissy to be appreciative! Heh, thanks Craig, and thanks Mark for stirring a lively debate. I actually acquiesced and changed the title to the American spelling. Just because I write in American English, and consistency is good, mmkay? Yes! I love spreadsheets - for personal use, at least :) Thanks for these, Matt!